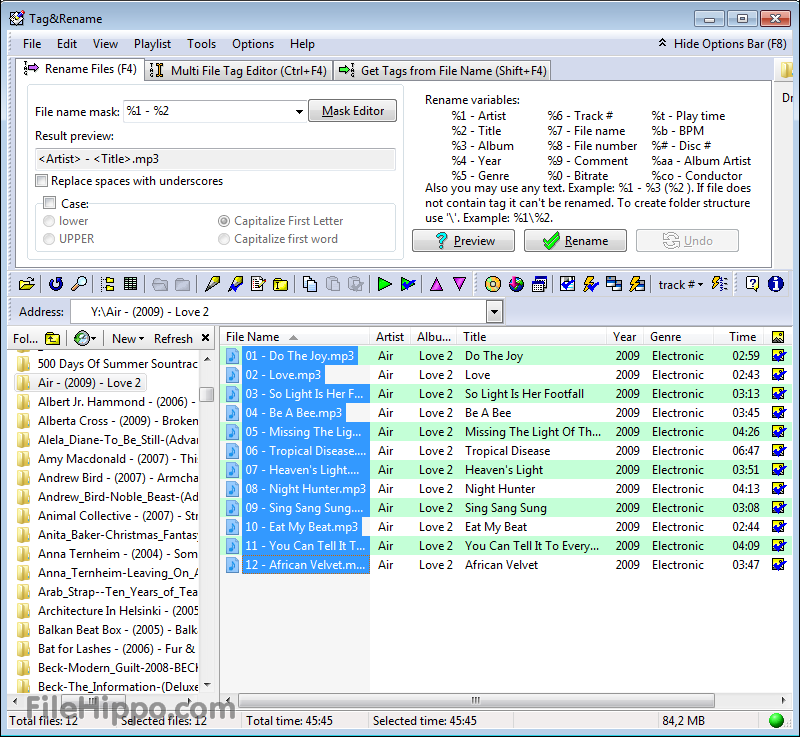 Tag & Rename is a software for music files management. 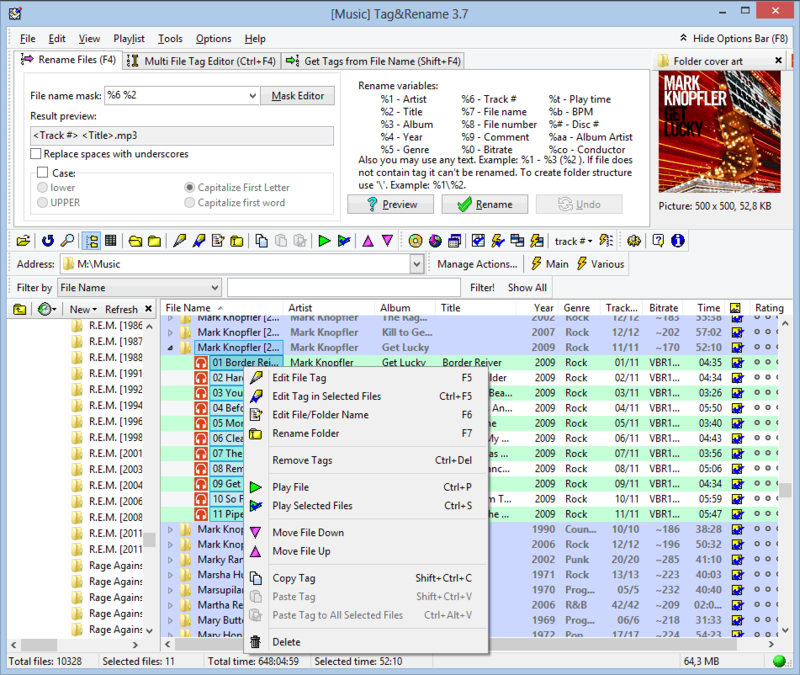 With Tag&Rename user can quickly and easily rename his music collection using the embedded tag data, write new or edit existing tag information, create tags based on file names, get songs information from freedb/amazon.com servers and mach more. 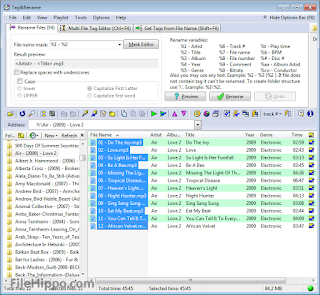 Tag&Rename is a Windows utility created to manage a wide range of popular music formats. 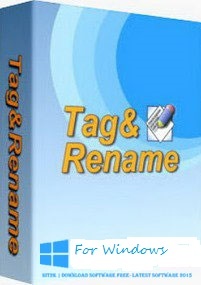 The tool allows for quick and easy editing of tag data. Writing new or updating existing tag data can be done for a single file or in batch for an entire album or folder. Tag&Rename supports many additional tag fields including lyrics, cover art, rating, mood, disc #, part of a compilation, album artist, classical music fields and much more. 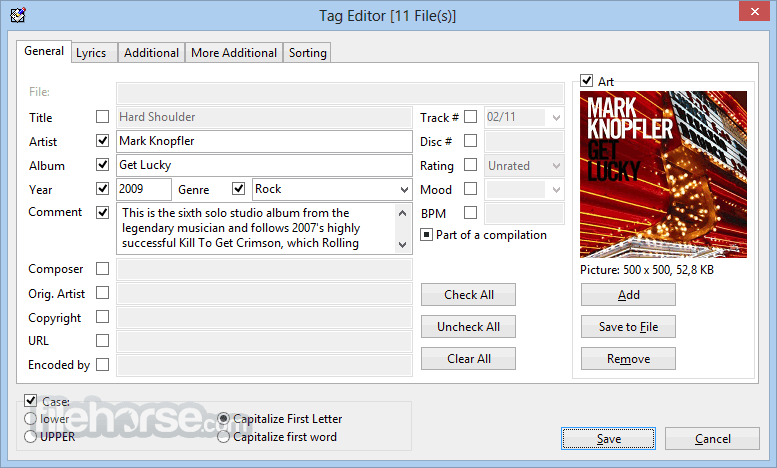 Tag&Rename supports many files and tags standards in an easy and intuitive way, so user can work with music metadata and not have to think about files codecs and tags versions - Tag&Rename does it all. Tag&Rename can be added to the context menu of MS Explorer so that you can access T&R faster from the MS File Manager.